At Bushmen Safaris, we know what it takes to provide a quality bow hunt. Your trip will be designed to provide the ultimate South African archery experience. As soon as you cross customs, we take care of you 100%. You will be picked up at the airport in Johannesburg, South Africa upon your arrival and escorted to the hunting conservancy for game viewing and a relaxed evening "African Style". We offer two Premium Bowhunting Packages including 12 days with 10 full hunt days and full amenities. If you want to add hunt days or explore other South African tourist opportunities, we can work with you to fully schedule your whole trip to your needs. In 1986, Bushmen Safaris developed an "archery only" hunting conservancy with restricted hunting pressure to ensure greater bow hunting success. As an owner-operated outfitter, Bushmen Safaris is set up for the archer and has proven that it takes at least six years without rifle hunting for a conservancy to provide a bow hunter with outstanding trophies. Bushmen Safaris commissions one hunt per month, occurring during the premium "dark of the moon” cycle, which has shown a proven increase in the age of trophies taken by hunters, providing increased success compared to hunts during the full moon phase. The remainder of the month is without hunting pressure which improves hunting for top-notch trophies. All cattle, cross fencing and concrete watering were removed in 1986, allowing for a "wildlife-only" habitat. This all-natural setting assures excellent genetics and higher-quality trophies. Hunting is Bushmen’s number-one priority. Bushmen Safari Hunters have taken 12 World Records, 63 Top 5 placings, 115 Top 10 placings, and 335 Top 25 placings. Bushmen's hunters continue to take high-scoring trophies as a result of limited hunting pressure. "Dark of the moon" hunting, superior genetics, and an excellent habitat without cattle all combine to help produce these trophies. Bushmen Safaris has an 80% record for return bow hunters over the past 15 years, which just goes to show that our high-quality experience is worth a return visit! Our hunts produce an exceptional number of shot opportunities, high-scoring trophies, ideal habitat, optimal blinds, and a high-success rate. Our bow hunters come to the ranch as clients and leave as friends. Bushmen Safari’s blinds have been developed to improve our hunter’s success. Sixteen hides both elevated and ground are located on natural watering holes; they are four-sided and complete with roofing to restrict scent and allow for hunter movement. Each blind has two openings—one for the bow-hunter and one for a video camera. Our large variety of hides reduce pressure and allow hunters to enjoy a variety of hunt areas throughout their experience. Bushmen Safaris has a full-time management team in the United States. 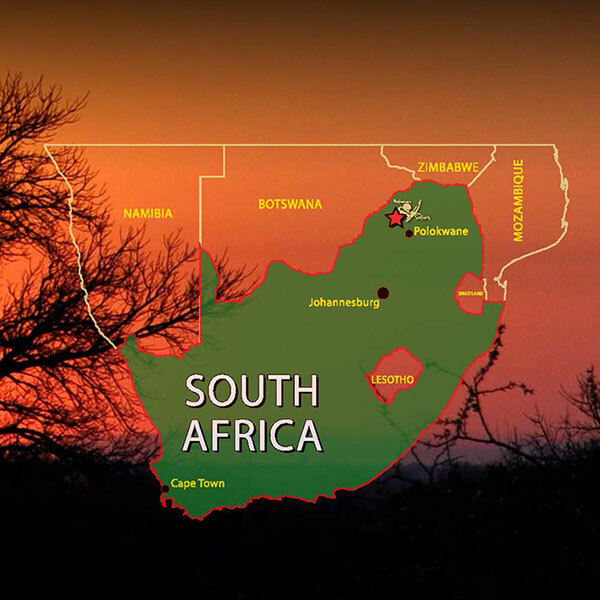 You won’t have to deal with vastly different time zones or language barriers when making the arrangements for your South African Archery Hunting Adventure. Each and every question or concern that you may have prior to your hunt will be handled by experienced hunters. After your hunt, we will help you follow-up on shipments from the RSA to the USA, making sure that your fees and care are appropriate. Bushmen Safaris offers superior on-site accommodations, once-in-a-lifetime photo and video opportunities, and amazing park tours such as Kruger National Park and the Lion Park in Johannesburg. From wine tasting in and around Cape Town, to shopping in Johannesburg and relaxing around the pool at Bushmen, we offer a superior experience for the non-hunter. A small deposit reserves your hunt and you pay the balance at the end of the hunt, guaranteeing that Bushmen Safaris accurately represents its hunts. Bushmen has a proven history, which allows us to provide low cost hunts without cutting the quality of the hunt. Your deposits are safe with Bushmen Safaris. Want to see what it's like to be on a Bushmen Safari? Check our our Youtube Channel!